More and more people are opting to buy the cheapest items and shop around to find them. Those collecting miles and points are always looking to find places that give them the most rewards for their everyday purchases. A majority of credit cards offer frequent flyer points that can be stocked up to increase your flyer miles. Using the right rewards credit card for everyday purchases can be key in increasing your mile/point earnings. Take a look at the list below to get some ideas of what rewards card are best to use in different categories. Amex Blue for Business Plus No Annual Fee Earn 2 points per dollar (first $50,000 in purchases per year), 1 point per dollar thereafter. 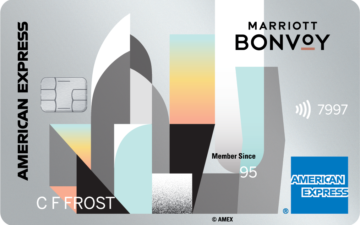 AMEX Starwood Preferred Card (personal or business) $65 Earn 6 points for each dollar of eligible purchases at over 6,700 participating SPG® and Marriott Rewards® hotels across 29 brands. 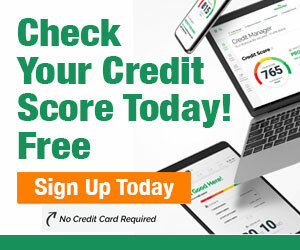 Earn 4 points at U.S. restaurants, U.S. gas stations, on wireless telephone services purchased directly from U.S. service providers, and on U.S. purchases for shipping. Earn 2 points for all other eligible purchases. 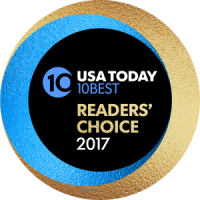 Receive 1 Free Night Award every year after your Card account anniversary (redemption level at or under 35,000 points) at a participating hotel. Blue Cash Preferred $95 6% cash back at U.S. supermarkets (on up to $6,000 per year in purchases, then 1%). categories each quarter. No changing categories. No expiration on rewards. Redeem your points for any travel expense. Barclaycard Arrival World Mastercard $89 Earn 2x points per dollar on everything. Receive 5% back when you redeem points for travel. Good card to build up points for misc. travel expensive, tours, rail tickets, etc. BOA BankAmericard Privileges with Travel Rewards $75 Redeem your miles for any travel expense. Base earning is 2X, but you will get an additional 10% annual bonus if you have a qualifying BOA account. Capital One Spark Business Card $59 2% cash back on all purchases. Great card for earning extra spending money for your misc. travel expenses. Example: food, tours, transportation, etc. Capital One Venture Rewards Credit Card $59 Earn 2 points per dollar on all purchases. Also earn 10/points per dollar spend at hotels.com/venture. Redeem your miles for any travel expense. Capital One QuickSilver Rewards No Fee Earns 1.5x cash back on all purchases. Great for building up cash for travel expenses. Chase British Airways Visa $95 Earn 3 Avios for every $1 spent on British Airways purchases and 1 Avios for every $1 spent on all other purchases. Best use of Avios is on short-haul flights, US Domestic flights on AA, and flights from West Coast to Hawaii. Chase Freedom Visa No Fee Also open a Chase checking account and you will automatically get a 10% bonus each year on all points earned. You can combine points with your significant other with these cards: Sapphire Preferred, Sapphire Reserve, Ink , or Ink Plus card. 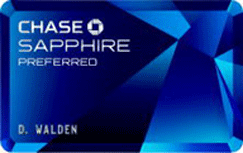 Chase Sapphire Preferred $95 2X points on travel from airfare and hotels to taxis and trains* 2X miles per $1 spent, 10X miles at hotels.com/ venture (offer ends on 1/31/2020) 2X points on dining. 1 point per $1 spent on all other purchases. Earns a 7% annual dividend each year. Club Carlson Visa $75 (or $60) You can rack up huge amount of Club Carlson points with this card easily. Plus 40,000 bonus points annually adds up year after year. Discover It Miles No Annual Fee 1.5x miles for all purchases. Miles match on your first year earnings. For example, 30,000 Miles turns into 60,000 Miles. Redeem your miles for any travel expense. Fidelity Investment Rewards Amex No Annual Fee Card earns 2% back when points are deposited to an eligible Fidelity investment account. This is some great info, thanks for sharing!